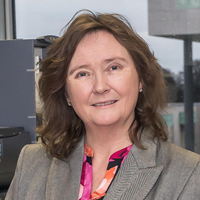 A Pharmacologist by background, Edel spent a number of years in UCD as the Irish Kidney Association‘s Newman Scholar in Nephrology as a Principal Investigator researching renal cell biology, and also lecturing in Pharmacology. Edel worked then for the HSA, where she was a Senior Inspector in the Hazardous Substances Assessment Unit managing a team of chemists, environmental scientists and toxicologists. She represented Ireland on EU working groups / committees in the area of Chemical safety. Edel is currently Head of the School of Health and Science in DkIT and has been in that role since 2007. This is the second largest school in DkIT and offers a range of undergraduate, postgraduate and part time programmes in Health and Science disciplines. She plays a key role in the academic management and strategic direction of the School. She also represents DkIT on a number of regional and national committees in a range of areas. She is the project lead for the TEAM project. Ronan is a biochemist and molecular biologist lecturing in Dundalk Institute of Technology (DkIT) since 2009. He was awarded a B.Sc (Hons) and a Ph.D from NUI Galway and possesses a strong research background in both the genetics of embryo development (PhD) and DNA damage/cancer (5-year post-doc). 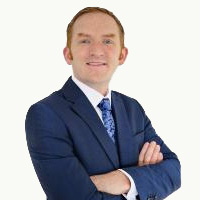 Ronan also has managerial experience from his time at ICON Clinical Research, an Irish run global contract research organisation. In 2013, Ronan was awarded a Masters in Arts in Learning and Teaching from DkIT. His MA centred on enhancing the assessment format and learning environment of undergraduate practical sessions in science. Research findings have been presented at various workshops and conferences in addition to being published in peer-reviewed journal publications and book chapters (see Bree et al., 2014; Bree & Gallagher, 2016; Bree, 2017). Ronan also acts as a peer-reviewer for journals in the learning and teaching field. 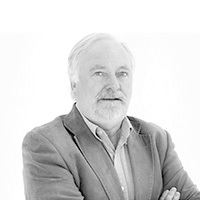 He has served on DkIT’s Institute Research Ethics Committee for 5 years, while currently acts as the vice chair of the Academic Council sub-committee for Learning and Teaching and is a committee member of the All Ireland Society for Higher Education. 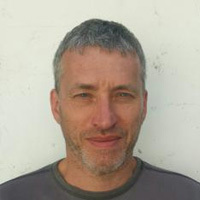 Ronan is the DkIT Academic Lead on the TEAM project (funded by The National Forum for the Enhancement of Teaching and Learning in Higher Education) and a member of its steering committee. Outside of work, Ronan has a passion for coastal landscape photography and in 2010 was awarded his licentiateship from the Irish Photographic Federation. 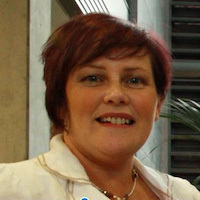 Dr Moira Maguire is Head of Learning and Teaching at Dundalk Institute of Technology. 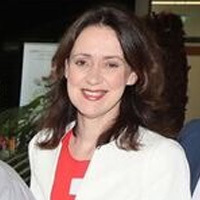 Moira has an undergraduate degree and PhD in Psychology from the Queen's University of Belfast and an MA in Applied and Professional Ethics from the University of Leeds. Before joining DkIT in 2008, she taught Psychology at the University of Westminster and the University of Luton (now Bedfordshire). Dr Jeremy Bird is Head of Science at Institute of Technology Sligo. He completed his first Degree in Applied Biology at the University of London in 1977, and his Master’s Degree in the University of Plymouth in 1980. In 1980 he was employed by the Cancer Research Campaign as a research officer at the University of Reading on a project under Professor Hugh Dickinson investigating “Nucleic Acid Synthesis during Meiosis in Lilium cinnabar”. He subsequently progressed to a post with the Medical Research Council’s “Experimental and Teratology Unit” as a research officer in mammalian pre-implantation embryology. In 1983 he was appointed as a Scientific Officer in Human Genetics within the Child Health Unit, University Hospital of Wales. Following this he moved to Ireland in 1985 where he took up an NBST Research Fellowship in the Department of Microbiology NUI Galway in Reproductive Physiology. Subsequently he was employed by the National Diagnostic Centre of Bioresearch Ireland as a Research Officer and postdoctoral researcher until 1992. Dr Bird completed his PhD in 1990. He was appointed as a Lecturer at IT Tallaght from 1992 to 1995. In 1995 he moved to Institute of Technology Sligo as a Lecturer . 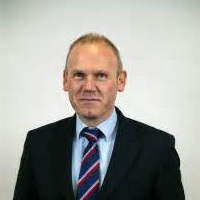 He has been Head of the School of Science since 2009 and administrates a faculty of over 1700 students. Akinlolu received his PhD degree in Physics from the University of Dublin, Trinity College. After completing his PhD, he stayed on in Trinity as a Research Fellow where he combined his research in Computational Condensed Matter Physics with teaching duties in the first and second year undergraduate Physics laboratories for over 3 years. Between 2014 and 2015, he taught Mathematics to first year computing students as an Assistant lecturer in the Department of Computing, Dundalk Institute of Technology. He is currently an Assistant lecturer in Mathematics and Information Technology at the School of Science, Institute of Technology, Sligo. Given his decade and a half teaching experience in STEM subjects, he is passionate about learning, implementing and promoting innovative teaching and learning strategies that will improve students' engagement in these subjects. 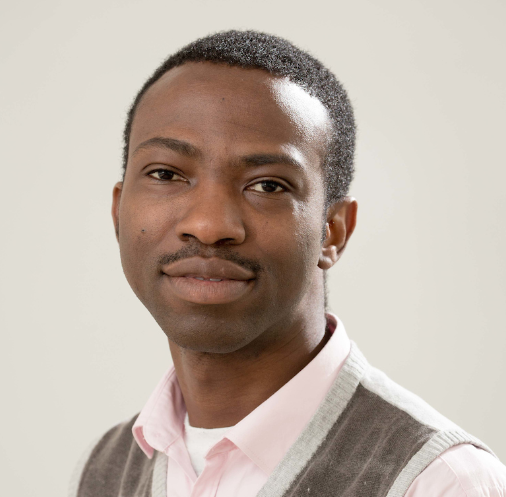 Akinlolu holds a BSc (Hons) - Physics, an MSc - Physics, a DICTP - Condensed Matter Physics, a PhD - Physics and a PG Cert. - Computing. Lecturer in Mathematics in IT Sligo for 20 years. Other professional interests include energy generation and energy management. Hobbies – surfing, Brazilian jiu jitsiu, swimming and reading. 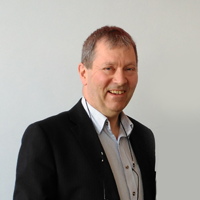 Don has a BSc (Hons) and a PhD in Pharmacology from UCD and an MSc in Pharmaceutical Analysis from TCD. He also holds a Post-graduate Certificate in Third Level Teaching and Learning from DIT. Don has worked in AIT since 1993 as a lecturer, Head of Department and Dean of Faculty and has supervised a number of research MSc students over this time. Anne has a degree in Biotechnology from NUI, Galway and a Ph.D. in Cell Biology from the Department of Anatomy, also NUI Galway. She has been a lecturer in Athlone Institute of Technology since 2004, and lectures primarily in cell biology across programmes in toxicology, biotechnology and sport and health sciences. 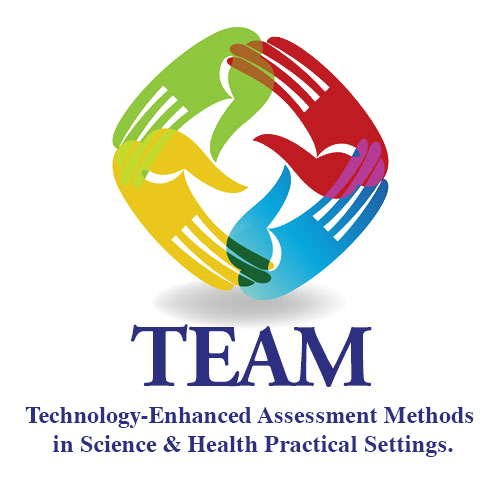 Anne has a PgDip in Learning, Teaching and Assessment from AIT, and has recently completed the TELTA module in DIT. She has a interest in the introduction of technology in teaching, particularly in the learning, teaching and assessment of science practicals. In 2011 and 2012 she received NDLR funding to introduce iPads in the teaching of anatomy and cell biology. In 2016 she received ‘What works and why’ funding to support the introduction of eNotebooks in a first year cell biology module. This project aims to encourage the lost art of note taking by the students in lectures and practical sessions, with the intended result being increased engagement and subsequent success in the module. Nuala Harding is the Learning and Teaching Coordinator in the Athlone Institute of Technology (AIT). She is a member of the Learning and Teaching Unit which works collaboratively in the support and advancement of learning and teaching in the institute. Nuala is programme coordinator for the Postgraduate Diploma in Learning, Teaching and Assessment. Her current educational research, teaching and publishing interests include the development of academic practice, student engagement and technology enhanced learning. She holds a Bachelor of Education (Hons) and an MA in Third Level Learning and Teaching. She is the AIT Designated Associate with the National Forum for the Enhancement of Teaching and Learning. 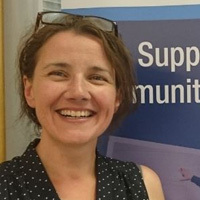 From 2011 to 2013 Nuala held the role of Chair of the Educational Developers of Ireland Network (EDIN), she is currently Chair of the Learning Innovation Network (LIN) Postgraduate Diploma Sub-group. Nuala is a member of the Irish Learning Technology Association, (ILTA) and the All Ireland Society for Higher Education (AISHE). She is currently involved in national research projects focusing on digital pedagogy, effective feedback in first year and curriculum enhancement. Nuala is a PhD candidate on the Higher Education Research, Evaluation and Enhancement programme with Lancaster University. I studied Microbiology in Trinity College Dublin and was awarded my PhD in Microbial Genetics from NUI Galway in 1985. I spent a number of years in Germany and Switzerland as a research scientist and teaching assistant (Max Planck Institute, Cologne; University of Geneva; German Federal Biotech Institute, Germany) before returning to University College Cork to take up the role of senior research manager at BioMerit (UCC). In 1996 took up a lecturing position in Biotechnology at IT Carlow and established a research group focused on phytoremediation and plant–microbe interactions. I was Head of Department of Science & Health from 2000 to 2004 and I am currently Head of the Faculty of Science at IT Carlow. I have 20 years’ experience of independent research in the area of plant-microbe interactions and phytoremediation with over 100 publications and 3 patents. My research group has successfully competed for funding under Industry, National and EU programmes and is focused on the development of nature based solutions and biotechnology for sustainable environmental and agricultural applications. I have a keen interest in the application of our research knowledge to real world problems and to that end I am a co- founder of a campus HPSU spin-out company MicroGen Biotech Ltd. I supervised 16 awarded and 5 ongoing PhD Theses and 2 MSc Theses and I have examined 8 PhDs and 10 MSc theses (Ireland, Belgium, Sweden). I have extensive experience of third level education both in Ireland and abroad. Initially as a lecturer and currently at the level of senior academic management. I have a particular interest in development of the postgraduate curriculum and the application of scientific knowledge. 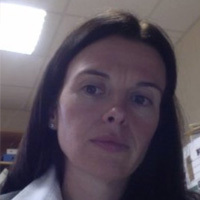 Dina is a graduate of TCD, has a PhD in Microbiology from NUIG and a MA in Teaching and Learning from IT Carlow. She is Senior Lecturer at the Department of Science and Health at ITC, where she is actively involved in both undergraduate and postgraduate education teaching on a range of Science programmes. In addition Dina in a founding member of EnviroCore Research Group and has successfully supervised MSc and PhD students at ITC . 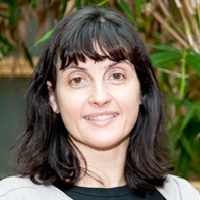 Dina is currently Chairperson of the Teaching Learning and Support Services Committee of Academic Council at IT Carlow. Her interests include: embedding Research and Enquiry Skills in the undergraduate curriculum and the development of authentic and reliable assessment methods that support and encourage student learning especially in practical education. As a member of Network for Educational Action Research in Ireland (NEARI) , Dina is committed to improving her teaching practice and collaborating with others for the benefit of her students. 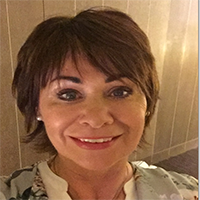 As well as her own teaching initiatives she has been involved in exploring pedagogically based technology that enhances student learning as part of SIF projects and has produced digital resources for the NDLR. Gina is the Head of the Teaching and Learning Centre in IT Carlow. She is programme director for the MA in Teaching and Learning and facilitates on many of its modules. She also supervises postgraduate dissertations and is a member of the Teaching, Learning and Student Services sub-committee as well as the Collaborative Provision sub-committee of Academic Council. She is a member of the Learning Innovation Network (LIN) committee. 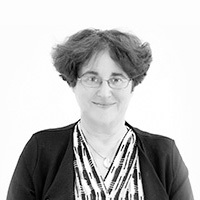 Gina has over 20 years’ experience working within higher education in Ireland, as a lecturer, programme designer/coordinator and external examiner. 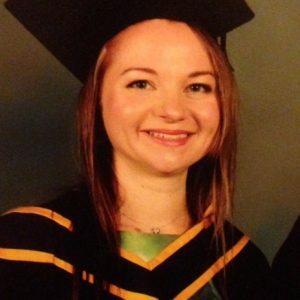 She holds a BA (Hons) and MA in languages as well as an MA in Teaching and Learning and is at present pursuing a doctorate with Maynooth University. Quality Assurance and Enhancement Committee in Institute of Technology Carlow. scientific roles and her research interests include sol-gel deposition of thin films. Caroline has a Bachelor of Business (Hons) in Management and Administration. She has worked in the private sector for a number of years and has joined Dundalk Institute of Technology in 2016 as administrator to the TEAM project. Olya has a BSc (Hons) in Health and Physical Activity (DkIT) and an Advanced Certificate in Sports Development (Monaghan Institute), including certificates in Personal Training and GP referral. She is passionate about Science and Health and is delighted to be involved working on a TEAM project. She has been involved in analysis of the results in the TEAM project since 2017.